In the festive season frenzy of online shopping, the big players have elbowed out the small ones, in more ways than one. Ahmedabad-based Anish Nagpal has been selling products online since December 2011. He sells clothing, footwear and home decor under his own brands, Cenizas and Macoro. In October, as festival buying peaked, Nagpal's company cashed in by selling over 80,000 items, much higher than the average of some 50,000 in other months. However, around 90 per cent of his sales, in terms of the number of items, were on Flipkart and Snapdeal, the two big e-commerce rivals which, fattened with funding, have unleashed high-decibel advertising campaigns. The others - Naaptol, ShopClues, HomeShop18, Limeroad and Indiatimes - where, too, Nagpal peddles his wares, brought in little more than chickenfeed. "Large e-commerce sites generate more traffic and therefore we tend to focus more on them," says Nagpal. On October 6 alone, Flipkart's Big Billion Day, a discount carnival intended as a tribute to the flat number 610 in which Sachin and Binny Bansal set up the company in 2007, Nagpal sold 11,000 items on the site. Nagpal, who has nearly 15,000 product varieties and an online stock of 1.5 lakh products, says that even in terms of listings and catalogue he is biased towards large players. "At the end of the day, I have limited inventory and bandwidth. I will put my efforts behind the big names." He is not the only one to think like that. In January this year, electrical equipment maker Havells India started selling its 700 products online through tie-ups with Amazon, Naaptol, Pepperfry and Indiatimes. The company quickly realised that the large ones, with their scale, gave more for less. In October, Havells sold 3,000 pieces to these websites out of which 2,500 went to Amazon India. "We have just started selling online and we are still testing this channel. A bigger e-commerce company can help us in understanding the market better," says a Havells spokesperson. Likewise, consumers, too, are moving towards the biggies. In Pune, 28-year-old Mohua Mandal was shocked out of her wits when her father's customary Diwali gift this year, a saree, was delivered to her by Flipkart. Kolkata-based Santosh, Mohua's father, found it the most convenient way. The choice was vast and the discount deep. And there would be no need for him to find a courier to carry the saree from Kolkata to Pune. Santosh, a retired railways professional, is hardly the kind that listens to punk rock on headphones and makes online purchases in coffee shops. But the sustained advertising blitzkrieg by the big e-commerce players first made him curious and then a convert. "There was a tangible decline in footfall and transaction [in malls and offline stores], which was attributed by retailers to the whole e-commerce shebang," says Devangshu Dutta, CEO of consulting firm Third Eyesight. According to industry body Gartner, the e-commerce market stands at $3.5 billion, which is expected to reach $6 billion in 2015, a 71 per cent growth. Experts attribute the growth this year to the publicity around the growing e-commerce market, deep discounts and the ease of purchase. This, along with a one-upmanship battle raging between the big guys - Flipkart, Snapdeal and Amazon - a lot more willing customers are joining the online consumer base. However, this growth is hardly even. The likes of Flipkart, Snapdeal, Amazon and eBay are taking away the lion's share of it. Small and niche e-commerce firms such as Infibeam, Naaptol, Tradus, and a plethora of others, seem to have lost ground due to inadequate money power. eTailing India estimates suggest that the pie this festive season was gobbled up mostly by Flipkart, Amazon, Snapdeal and eBay. While there are no official estimates, the Big Four have together cornered 70 per cent of the e-tailing market, averaging out the sales during the festive and non-festive seasons. Starting with the Big Billion Sale on October 6, when it sold products worth $100 million in 10 hours and saw a billion hits on the website, Flipkart had a dream run in the month. If traffic is a good proxy to measure sales, Flipkart was far ahead of the others on that day. 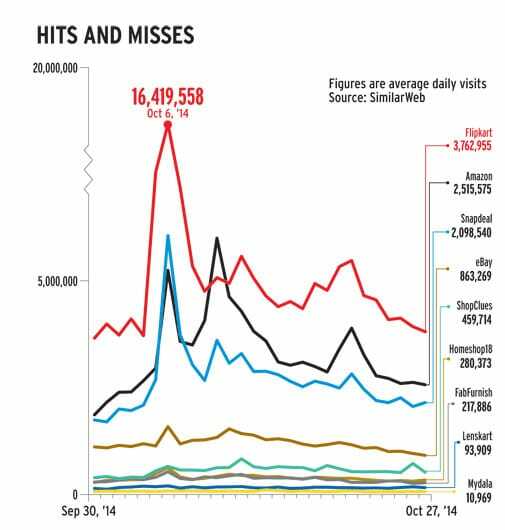 However, according to Internet agency SimilarWeb, there were 16.4 million visits on Flipkart on October 6. 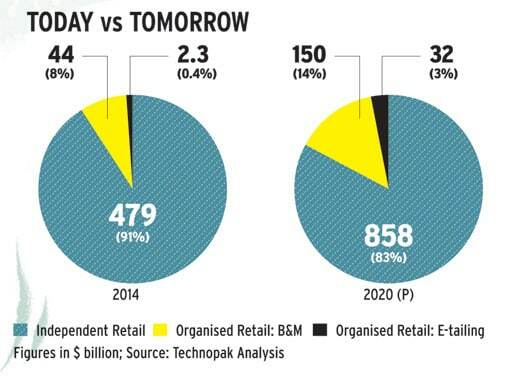 For smaller ones like Homeshop18 and Lenskart, the numbers were merely 543,056 and 120,852. Throughout October, Flipkart had an average daily traffic of 10 million, compared with six million in the month before. Its October revenue stood at around $400 million, while Snapdeal clocked some $120 million, according to Spire Research and Consulting. Smaller players registered far lower revenues. Sandeep Sharma, Co-founder and Chief Operating Officer of niche e-commerce portal Yepme.com, accepts that the large players are hogging the limelight. 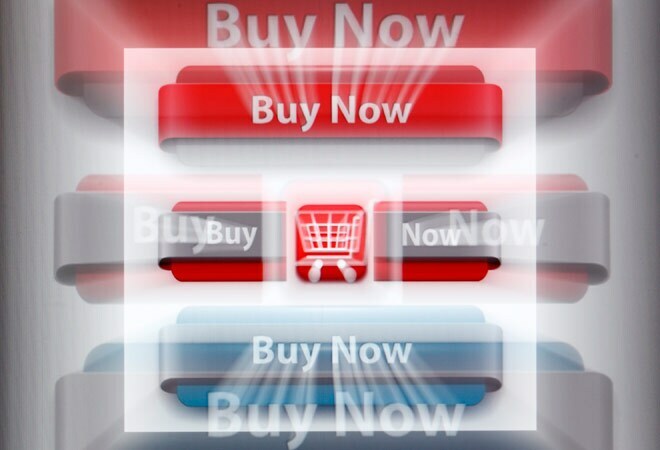 "I think smaller e-commerce players have been overshadowed by the bigger players. Companies such as FashionAndYou, Lenskart, Fashionara and ShopClues don't have the kind of money that big e-commerce sites have raised or have committed for expansion. Big players have deep pockets which smaller companies can't match." Yepme sells its products on its own website (Yepme.com) as well as other large e-commerce portals such as Flipkart-Myntra and Snapdeal. The buzz created by large players resulted in Yepme clocking higher sales growth on other portals as compared to its own website in October. "The sales growth on other websites was 100 per cent in October, whereas the growth on our own website was just 50 per cent," says Sharma. Other small outfits disagree with him. Naaptol, Homeshop18, Mydala and Infibeam say they, too, have grown well. Mydala claims its sales rose 60 per cent during the festive season. "We are not spending anything close to what they are spending," says its Co-founder and Chief Technology Officer, Ashish Bhatnagar. "We cannot make that big marketing push. Not just because they have deep pockets but also because we do not believe this will give us return on investment." Homeshop18 says it wouldn't be squeezed by the march of the e-commerce biggies because most of its revenues come from television. "The web audience is evolved and can do its own online research. Television audience is different; you need to hold their hand," says Vikrant Khanna, Chief Operating Officer, TV Business, Homeshop18. The smaller firms also say that profitability is supreme for them. Infibeam Founder and CEO Vishal Mehta says size is important, but so is profitability. "Those who have the largest market shares will not necessarily be the last men standing." Infibeam, he says, broke even last year and expects profits this year. The small outfits say they benefit from the rub-off of the advertising campaigns of the big players. "We see huge traffic whenever big players advertise," says Sanjay Sethi, Co-founder and CEO, ShopClues.com, an online marketplace. Advertising spends by e-commerce players this festive season in the week leading up to Diwali were 40 to 60 per cent higher, says ad retargeting company Vizury. Take the case of Snapdeal. A 10-second spot on Sony's game show KBC costs around Rs 6 lakh, and Snapdeal has gone in for an in-show integration, with a Snapdeal-branded question, for which it would be paying a premium of 25 to 30 per cent. ShopClues, with much less money to play with, decided to stay away from the print and TV advertising frenzy. As compared to around nine to 12 per cent of the top line for large players, ShopClues spent around 6.5 per cent on marketing in the festive season. It confined itself to a small awareness campaign. Gaurav Gupta, Senior Director, Deloitte India, says the smaller players will continue to get squeezed. "It requires a large amount of capabilities to become a large player: building brand, product catalogue, offering competitive prices, and customer experience. In all these areas, large players clearly have an advantage." Experts believe in specific categories such as fashion, those other than Jabong and Myntra clearly lost out on the discounts battle. The small players, many of which thrive in niche segments, will face more heat because the big ones have followed them there. Flipkart acquired Myntra this year to widen its apparel offerings. Snapdeal sells furniture, an area that was so far the domain of mainly FabFurnish and Pepperfry. However, FabFurnish Co-founder Vikram Chopra is unfazed. "The experience that players like us can offer is unmatched. You need specialised experience in running a furniture business online. Walmart sells furniture in its store, but people still go to Ikea." That they do, but the moneybags have veered largely towards the big e-commerce players in India. With the recent round of investment of $627 million from Japan-based SoftBank, which it announced on October 28, Snapdeal has now raised about $1 billion from investors such as Temasek, Myriad, Tybourne, and Blackrock. Flipkart has also raised substantial sums from investors such as Tiger Global, Accel Partners and Morgan Stanley. Then there are the Indian arms of the global biggies Amazon and eBay. Experts say that e-commerce in India is in a habit forming stage and money will have to flow - in advertising and discounts - to lure more consumers, and bring them online more frequently. That is why investors do not mind punting on the promising ones like Flipkart, which many have taken to calling India's Amazon, and Snapdeal, its close rival. The question is, for how long will they continue to pump in money without worrying about profits? For the smaller ones, it is the opposite: how long will they make do with claims of profitability, without worrying about funding? Follow the authors on Twitter at @manukaushik and @arpitamukherjee. For any queries, you can mail them at manu.kaushik@intoday.com or Arpita.Mukherjee@intoday.com. Additional reporting by Arunima Mishra and Taslima Khan.